When you launch a startup, you can’t help but to dream of the possibilities. You think of the excitement of acquiring millions of users, building an awesome team, and of course, a multi-million dollar exit. 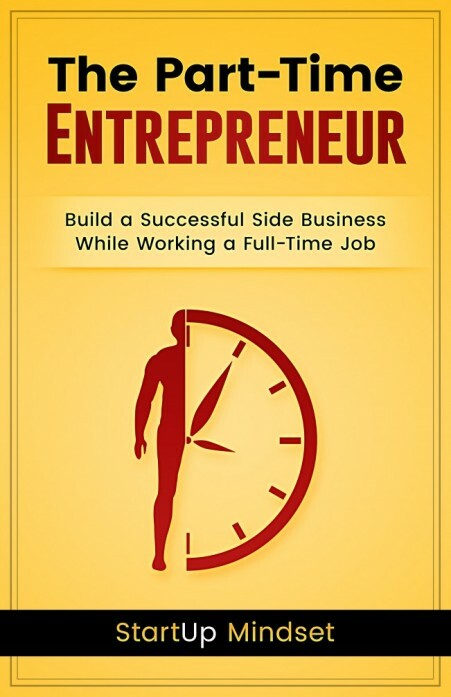 However, many entrepreneurs don’t think about all of the other stuff that comes with the job. You never think about all of the interviews you’ll have to conduct with unqualified applicants, the challenge of finding the right investors, and how to build an effective board of directors. Even though it can be a little overwhelming, these challenges can be overcome. Today, we interview venture capitalist, former CEO, and author Randy Komisar on some fundamental rules entrepreneurs can follow that may increase the odds of their startup’s success. 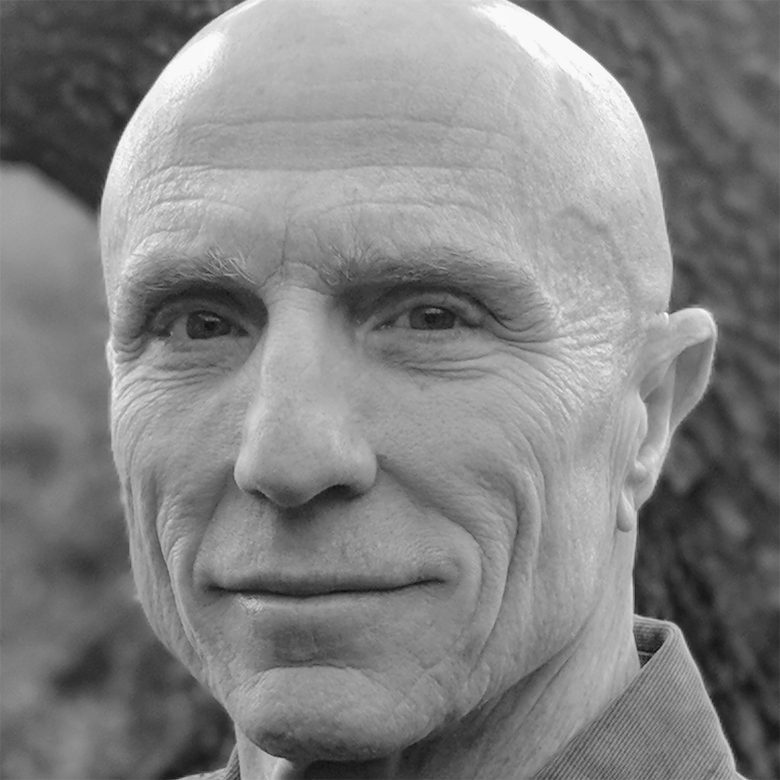 Komisar is a venture capitalist with Kleiner Perkins and has decades of experience with startups. He joined Kleiner Perkins in 2005 and focuses on early-stage investing. Previously, he was a co-founder of Claris Corp., served as CEO for LucasArts Entertainment and Crystal Dynamics, and acted as “virtual CEO” for such companies as WebTV and GlobalGiving. Randy also served as CFO of GO Corp. and as senior counsel for Apple Computer, following a private practice in technology law. Randy is a founding director of TiVo and serves on the Roadtrip Nation Advisory Board and Orrick’s Women’s Leadership Board. He is also the author of the best-selling book The Monk and the Riddle. 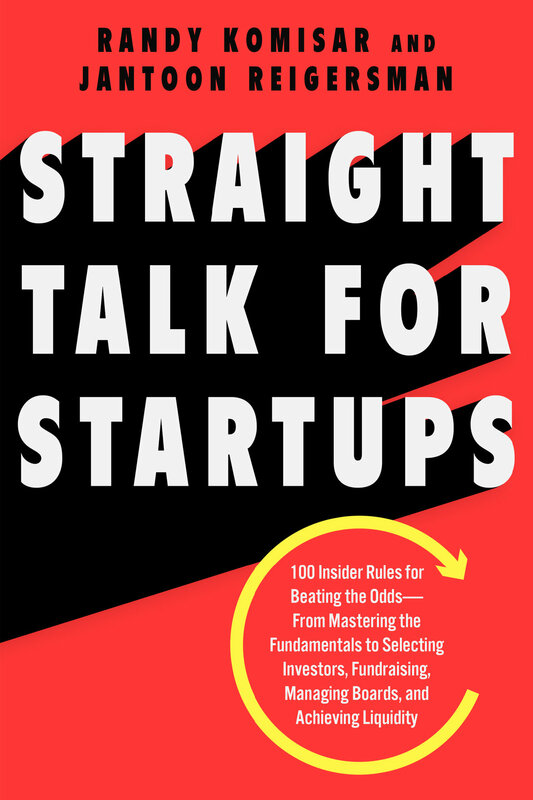 Komisar has a new book that he co-authored with Jantoon Reigersman entitled Straight Talk for Startups: 100 Insider Rules for Beating the Odds–From Mastering the Fundamentals to Selecting Investors, Fundraising, Managing Boards, and Achieving Liquidity. 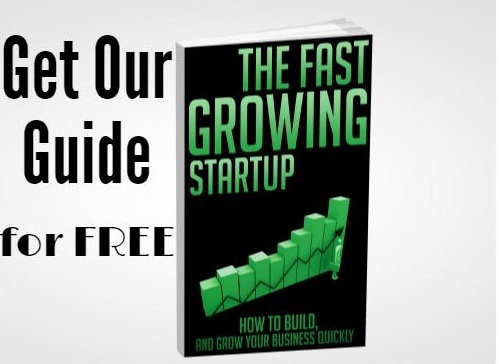 In this book, the two authors give great insight into some simple but profound rules for entrepreneurs to follow if they want to increase the chances of their startup’s success. Q. Welcome to StartUp Mindset, Randy. We’re excited to have you here. For the readers who are not familiar with you, could you tell us a little about yourself and your entrepreneurship background? It’s a pleasure to be here. I am a bit eclectic. A serial entrepreneur, investor, mentor, professor and writer. I am a partner at the Silicon Valley venture capital firm, Kleiner Perkins, where I led the investments in Nest Labs, RPX, and FarmersBusinessNetwork, among others. Before that I taught entrepreneurship at Stanford University. I created the role of Virtual CEO, something we will discuss a little later on, and worked with a variety of startups like Tivo, WebTV, MondoMedia and GlobalGiving in the 1990s. Prior to that I was the CEO of LucasArts Entertainment and later, Crystal Dynamics. I was a co-founder of Claris Corporation and the CFO of the pen-computing pioneer, Go Corporation, after serving as Senior Counsel for Apple in the 1980s. And before that I was a technology lawyer, a director at the Providence Community Development Program, and a music promoter. If you want to go even deeper, I dug pools, maintained boiler systems, worked in a bookstore and baked bread; whatever worked. It’s been a wild and wonderful experience. Along the way I wrote The Monk and the Riddle, and co-wrote Getting to Plan B, I F**king Love that Company and most recently, Straight Talk for Startups. Q. You became an entrepreneur after leaving Apple 1.0 in 1985. Entrepreneurship has changed a lot since then. How do you think entrepreneurship has changed worldwide the past few decades and do you think the changes have been for the better or worse? When I co-founded Claris Corporation with Bill Campbell, Donna Dubinsky and a host of talented people after leaving Apple; entrepreneurship was not the media spectacle it is today. Founders weren’t celebrities. Success was measured in millions, not billions. We started businesses to solve problems and unleash our creative juices from the chains of corporate bureaucracies. It was a calling, not an over-hyped fast-track to wealth and power. We wanted to change the world and pursued the freedom to do it. 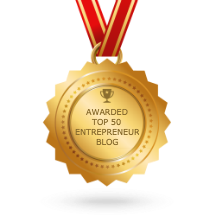 Today entrepreneurship is a spectator sport. Massive amounts of capital flood the industry looking for black swan returns. Everyone is encouraged to follow his or her dreams, no matter how shallow, and to live the entrepreneurial life. The pace is frenzied and the stakes are gigantic. I don’t think in terms of good or bad, it just is. The current environment makes it harder to stick to solid values and build real businesses. But for those who can keep their wits about them and take advantage of the benefits of the entrepreneurship explosion, there are ample resources to tackle huge problems and create tremendous value. From a global perspective the improvements from the 1980s are more striking. Even when I would travel the world in the early 2000s and visit the various “Silicon Valleys” of India, Spain, Chile, etc. what was most apparent was the gap between the quality of the talent and their startup practices. Innovation occurs wherever there are smart people, and that means everywhere. But the best practices of entrepreneurship were not generally understood in most places outside of hot beds like the Bay Area, Boston, Seattle, etc. Since then the Internet has brought state of the art entrepreneurial best practices to every corner of the globe. Today there are big, bold ventures started in Beijing, Tel Aviv, Stockholm, Shanghai, and on and on. The biggest difference between the “haves” and “have-nots” now is their access to experienced advisors and mentors who can accelerate their learning and amplify their efforts. People who can help them avoid the missteps that doom most startups. This is exactly why we wrote Straight Talk for Startups, 100 Insider Rules for Beating the Odds; we want to provide battle tested startup wisdom in order to level the playing field so entrepreneurs everywhere will have a leg up on achieving success. Q. You created the role of “Virtual CEO” in order to serve and help startups like WebTv and GivingGlobal. Could you tell us a little about how this came about and some of the major leadership lessons you learned while holding that position? I tell the full story Virtual CEO in The Monk and the Riddle. I had just left Crystal Dynamics and was soul searching. My friend and mentor, Bill Campbell, had encouraged me to become a CEO. But after two CEO gigs, I wasn’t so sure. I enjoyed the creative aspects of the job, but success always transformed the role from building to managing, from business strategy to the much more mundane care and feeding of employees. I took a moment to reconsider. And while I was pondering, my friend Steve Perlman invited me to join him at WebTV. Steve is a brilliant entrepreneur and WebTV was the first company to bring the Internet to the television. But I didn’t want to be the CEO; Steve had the vision. So Steve invited me to be his partner, his mentor, and his experienced right hand person. I had the vantage point of the CEO but the flexibility of an individual contributor. I worked through Steve, not around him, developing him and his leadership team while jumping into whatever fire was burning at the company. Steve presented me with a business card, “Randy Komisar – Virtual CEO”. It stuck and became the model for how I worked with a host of companies during the 1990s and early 2000s. The role allowed me to operate across a portfolio of businesses simultaneously, always focused on developing the talent not just the business. I could avoid the mundane while immersing in the creative. I learned as much as I taught. I was involved in such a broad variety of technologies and businesses that I had to level up and train my attention on the talent. Without the position power to make decisions I was forced to develop the skills to effectively work with and through others. The adage that “your title makes you a manager, but your people make you a leader” became visceral – I had no comprehensible title so I needed the people to make me successful. I had to lighten my ego in the process because the wins would never be mine, and if I did my job well I would be invisible. I learned that mentoring was more satisfying than managing and that my leadership compounded with the success of each team. I felt energized once again. Q. In your book Straight Talk for Startups, you write that starting a venture has never been easier but succeeding has never been harder. Can you elaborate on that? Sure. Today there is so much capital and so many resources available that starting a business is easier than ever. Add to that the fact that new ideas can be launched in the marketplace quickly and cheaply and it seems like now is nirvana for entrepreneurs. But there is a catch. 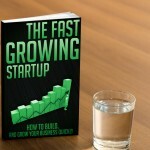 If it is easier for you to start a business, it is easier for anyone to start a business. And if you have a good idea, there are very few barriers to others jumping in right behind you. Excess capital means that there is a strong motivation to grow quickly at any cost. 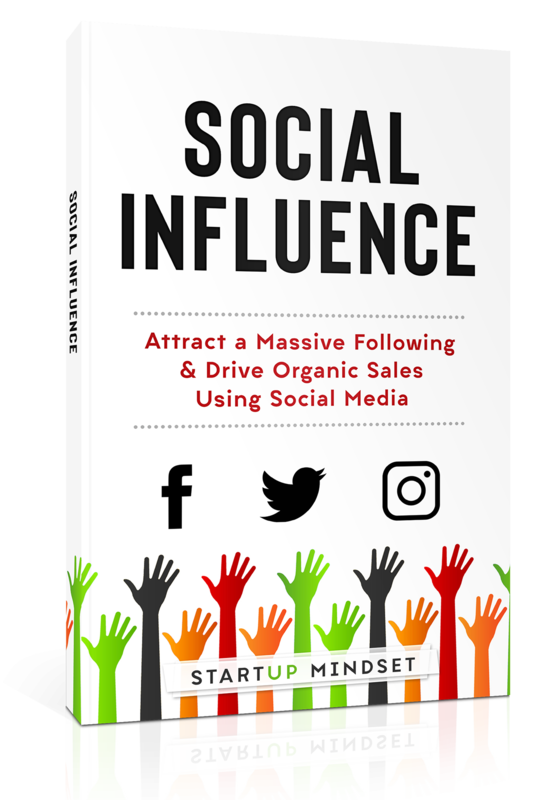 Suddenly you and your competitors are rushing headlong into the scaling abyss without building the foundation for a solid business, hoping you can do that later when the pack thins – provided you aren’t part of the ensuing road-kill. Moreover, while money is plentiful talent is scarce. Not everyone is meant to be an entrepreneur regardless of the media mantra. And with ever more startups it is harder to build great teams. Finally, the experienced advisors and mentors you will need are also stretched thin. You have the money, but not the know-how. Straight Talk fills some of that gap. Q. Your book has some great advice on raising capital. One of my favorites is “don’t accept money from strangers”. Could you tell me more about what that means and why it is an important rule? When you raise money you are selecting partners. Most often they will have some say and oversight over you and your business. They aren’t strictly wallets; they bring baggage and ambitions of their own. While all money is equally green, not all investors are equally qualified. You want to get to know your investors well before you invite them onboard. Understand their objectives. What is success for them? What is their time frame for returns? What is their experience and how will that impact their judgment? What special skills or insights can they bring to your business in addition to cash? And more importantly, do they share your vision and values? Will they crack under pressure or do they have the character and experience to persevere in a crisis? Did they invest in you, or just your business plan? Do they have integrity; and can you trust them to be honest, fair and direct? Money comes with personalities. Get to know them well. You are choosing a partner, not a bank account; so don’t take money from strangers. Q. What are some of the most common and costly mistakes founders make when pitching their business to potential investors? I have seen so many, but let me zero in on a couple. First, most founders are so enamored with their idea that they ignore context. They don’t educate themselves fully on the field and its history. They aren’t able to answer basic questions about the analogs and antilogs to their business, or to distinguish themselves from the failures that have crashed and burned before. Second, founders spend inordinate time preparing financial plans without really understanding their implications. It becomes an obligatory “paint by numbers” exercise rather than a chance to tell the story of their vision and opportunity. They present one set of best-guess numbers rather than two; a base plan that shows how they will run their business, and an aspirational plan that demonstrates the potential of their business. They aren’t fluent with the assumptions behind the numbers as well as their sensitivities and interdependencies. Third, most founders sell their idea rather then themselves. They think that investors just want a plan they can believe in. But if a plan created before you have a technology or product, customers or revenues, turns out to be true, its lucky not smart. You simply don’t have enough information yet to be smart. Founders need to sell themselves. Good investors know at the inception its all about the people. So make it personal. Finally, founders need to answer a cardinal question before they start down this path. Why? Why this? Why you? Why now? Most founders stammer and then reply with their mission statement. Or an eye roll and a dismissive, “because it will make money”. But for savvy investors, this is not enough. Answer Why? not just because you don’t want to be stumped; answer because it is crucial to your choosing the entrepreneurial life. Q. You also offer some wisdom into choosing the right board members. Why do you think choosing the right board members is so important? Founders frequently misunderstand the role of a good board. They view boards as overseers, watching after their investments. There is some truth to that. But if you treat your board like judges and confessors, they will act like judges and confessors. As an early stage business you can’t afford to surround yourself with bureaucrats, you need operators with the experience to make you and your business better. You want people who bring judgment, poise under pressure and character. You wouldn’t hire second-rate people for you management team, so why would you settle for second-rate board members? You will spend countless hours preparing for board meetings, conducting meetings, and communicating with directors. Make those hours pay. Chose board members who think like operators and complement your weaknesses with their strengths. Build a diverse board that brings multiple points of view. Manage them effectively to get the most value possible. You want a brain trust, not a brain drain. And while a good board can help you win; a bad board can sink a good company. Q. For startups in the survival stage of their business growth, what advice would you give to help them reach the success stage? First, focus on the things within your control. Hire great people. Inspire them to excel. Empower them to win. To the extent humanly possible, resist the siren’s call to scale too quickly and build a solid foundation first. Manage costs frugally while investing wisely in the things that will actually make the business work. Don’t mistake a product for a company, or a company for a business. Until you can make $1 profit, you are panhandling from investors. Choose investors who get you and your business and share your values, objectives and time frame. Don’t get fixated on dilution. Raise the right amount of money on fair terms and avoid inflating your value with foolish conditions that will bite you later. Build a value-added board and manage them well. Second, be attentive to the things outside of your control. All the mastery in the world won’t make you successful without some good fortune. That doesn’t mean carrying magic crystals and praying to some jungle deity, it means being acutely aware and prepared for events that can change your trajectory and seizing the moment when they arise. To be a generator of success you will need to also be a lightening rod for luck. Q. The final part of your book focuses on achieving liquidity. Some of our readers that have startups that they would like to take public or sell. What things should they be doing now to prepare themselves for a future successful exit? Lets start by distinguishing liquidity from an exit. An exit is when you and/or your investors sell their entire ownership positions and clean their hands of the venture. Liquidity is when you provide investors and stakeholders, including employees, with the opportunity to tap into the value you have created. An exit always entails liquidity, but liquidity does not always require an exit. It’s your job as founder/CEO to find liquidity opportunities for your stakeholders; it’s your choice to seek an exit. Understand that the only sure path to achieving liquidity is to build a profitable business that serves its customers well and grows faster than the competition. But be acutely aware that lightening can strike early. At each stage of you business your venture will have a local maximum value. That does not mean that you will never be worth more, but it does mean that given market conditions, your accomplishments and the risks remaining in your business that it may be prudent to sell earlier than later. Remember, at each stage you are taking on new risks, wrestling with new unknowns, vulnerable to new competitive dynamics and diluting with additional capital. So when a buyer knocks, at least answer and hear them out. If you want to sell, adopt a methodical approach. Map your target acquirers, identify decision makers, and determine your key acquisition metrics. Then study precedent transactions, prepare marketing materials, and connect with the likely suspects. Be ready when they are. Contrary to popular belief, companies are not just bought; they can be sold. And if you decide to go the IPO route be wary of the accompanying costs and responsibilities. Your business and your job will change forever. The regulatory and governance obligations are daunting. The quarterly rat race is inescapable. And if you slip along the way, the cost to you in value, morale and competitiveness is enormous. If you go public, always make sure your best days are ahead of you. I believe a critical mindset for success is self-awareness. Sure you have to be tenacious and smart, and it helps to be passionate and visionary. But successful entrepreneurs are people who learn quickly on the job. If you think you know it all and simply have to execute you are missing the mark. You know where to start, but you can’t anticipate all the challenges you will encounter along the way. No matter how experienced you are you will need to learn and grow rapidly. If you are self-aware you have a big advantage. You will know where you weaknesses are and can seek out the team and advice you need to overcome them. You will be better at empathizing and communicating with others, because if you are self-aware you will be more aware of others too. You will be more comfortable with uncertainty and capable of adapting, rather than defensive and stubborn. The delusion that surrounds an unaware founder makes it unlikely they will be able to absorb new information and feedback quickly enough to adjust to the unknown unknowns. If you want to build a great business, work on yourself first.